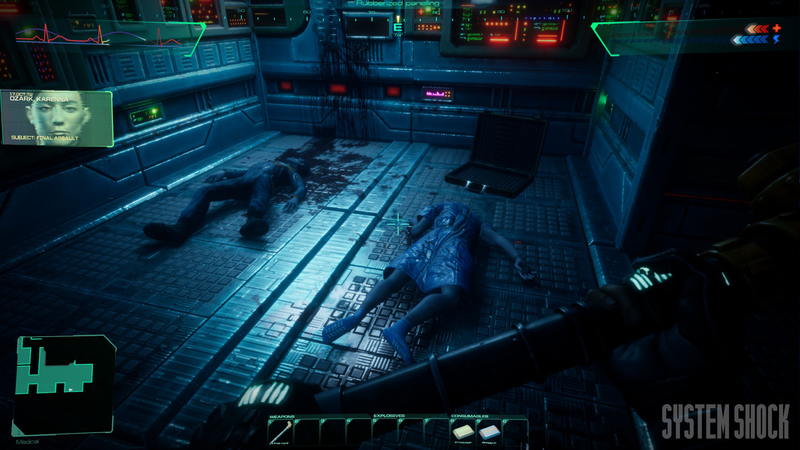 The production on Nightdive Studios’ remake of the PC classic System Shock hasn’t exactly been smooth. Kickstarted back in 2016, the project went on a “hiatus” after the studio decided it needed to reassess where everything was going. I looked at the latest version at the Game Developers Conference in San Francisco last week, and while I’m somewhat unsure of the game itself, I found myself enraptured by the story of how it came to be. When you head to a game presentation at something like GDC, it often means something fancy. It’s a hustle, a magic trick meant to dazzle the press. In some cases, you’re heading to a spacious meeting room replete with swag, big TVs showing builds of the latest games, and designers doing Powerpoint presentations. That wasn’t the case with System Shock. After I met Nightdive Studios’ director of business development Larry Kuperman in a hotel lobby, I was brought to a modest room where the game’s development team had hooked up their laptop to a nearby TV to show a video walkthrough of the game. That is a good story for understanding Nightdive and their System Shock remake. There’re scrappy, which is both endearing and worrisome. The original System Shock released in 1994. Set aboard Citadel Station, a massive space station orbiting Saturn, players needed to navigate a twisting maze of corridors and interconnected levels while surviving the machinations of the twisted AI SHODAN. It was a game that helped birth a whole new genre—now called immersive sims—and redefined exploration in games. The notion of exploring one continuous space hadn’t been done with quite as much fidelity. It left a lasting impression on fans, some of whom were among the over 21,000 backers who raised over $US1.3 ($2) million dollars for Nightdive’s remake. In the video demonstration much of what I saw felt in line with a demo the studio released in 2016. The difference was in the details. Citadel Station’s interior seems harsher, with blocky interior-design and dangerous mutants lurking in the shadows between neon-lit rooms. It was bloodier too, enemies and corpses glistening with viscera and slick, fresh rot. It felt like System Shock, which is to say that it was both moody and confusing. When I got hands on time after the presentation, I found myself winding through hallways, getting lost in the ambiance of a hydroponics garden and smashing monsters’ heads with a lead pipe. One wrong turn took me into a toxic storage facility that I quickly left. A harsh fight left me with little health and no med-kits. Instead, I bobbed and weaved to land attacks on enemies and even snuck around some while I explored. The core experiences of System Shock—exploration, adventure—were intact. It was a familiar game to me, as someone who played the original. Smoother, perhaps, but this remake is certainly not breaking too far from the mould for good or ill. The philosophy for the remake is this, according to Kuperman: “Not the way it actually was, but the way that you remember it being. Nightdive has made a habit of re-releasing older games. Kuperman used their recent PC port of 1997’s Turok: Dinosaur Hunter to expand on his comment. That game had copious fog that made it harder to see and affect performance. Rather than remove the fog for the port, Nightdive merely reduced it. That seems to be the prevailing ethos for Nightdive. 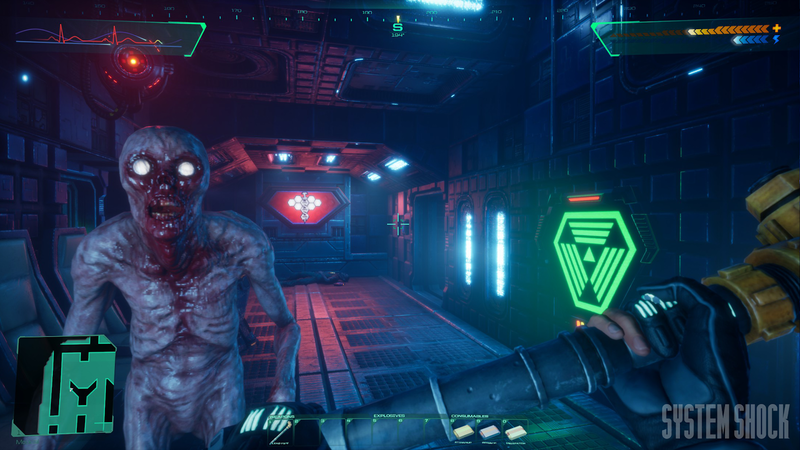 The System Shock remake doesn’t seem set to reimagine or remix the original game. For some, that might make it unremarkable. It feels old-school, which seems to appeal to backers and fans. But that also means a slower pace and combat that, while tense, never quite has a lot of impact. Hitting an enemy or blasting them with a laser doesn’t particularly feel great. The mood is there, the exploration enjoyable, but the actual playing sometimes felt detached and sluggish. For some, that won’t matter. For other players, it’s tempting to look at the remake and shrug. It all depends on what you’re looking for. Following the project’s hiatus, the team also tried to be more transparent with backers. From long live-streams where designers blocked out Citadel Station piece by piece, to conversations in Discord, Nightdive’s major reinvention has been to build their game while reacting to feedback on the fly. To call a project a “labour of love” is cliché but it feels fitting for the System Shock remake. That became particularly clear once I asked Kick how the project even came about. How did Nightdive end up with one of the most well know properties in gaming? 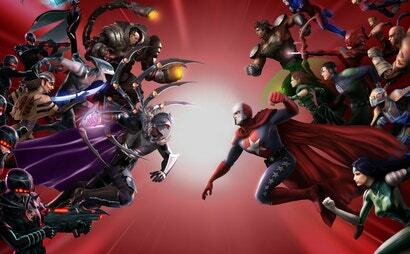 It happened after Kick left Sony Online Entertainment in the mid-2000s, where he was working as a character artist. He was burning out. As he tells it, he and his girlfriend hopped in his Honda Civic and drove all the way through Mexico and Central America and down to the Panama Canal. Kick had a laptop of old games including System Shock 2. He went to GOG to find the original but was surprised to see that they didn’t have it. Extensive internet sleuthing led him to locate the people who owned that intellectual property: a Midwest insurance firm that had acquired it after Irrational Games closed in 2009. When Kick contacted them, the firm expressed interest in the idea of a System Shock 3. Kick instead first secured distribution rights to help re-release the original games on GOG. After sales were strong, Kick eventually secured the entire IP. System Shock 3 is in the works and will be developed by OtherSide Entertainment. In the meantime, Nightdive continues their work on the System Shock remake. What I saw contained flashes of the original game but also felt a lot like what I’d played years ago before I was even working for Kotaku full time. It seems like there’s a lot of work left and I walked away from my demonstration a bit apprehensive. 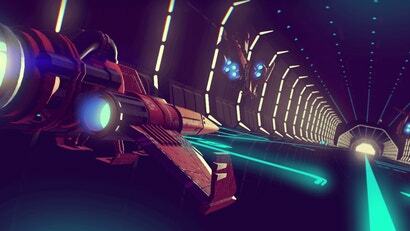 Will players respond to the classic experience? Or will the edges remain too rough? We won’t know until 2020. It's a little tricky. The studio was renamed to 2K Boston at that time, and then rebranded to Irrational Games not long after that (and has been rebranded again a couple of years ago).